FRISKY’s association with Juicebox goes a long way back. For last four years, Juicebox has been a regular feature on our channel with their monthly show with the same name. Bringing in some of the uber talented artists from around the world of deep and dark progressive sounds. So, when we came to know that the label boss, Praveen Achary, was planning an exclusive series of club night under his label, we caught up and got him talking about this brand new concept. How did the idea of the “Juicebox Music Showcase” come about? We actually did a few nights during the launch of the label, but it didn’t work out the way I wanted it to, so we rebranded it and thought of strictly keeping only artists that are directly involved with the label, hence a showcase. Apart from signing their music, Juicebox aims to help provide more than that as a platform, one way is to give the artists exposure, be it a brand development or as simple as DJ’ing experience, through dedicated club nights like this. Everyone becomes comfortable when their friends and label colleagues are sharing the same stage, which makes it an even more exciting thing to be a part of. Are there plans on taking the music showcase to other parts of India as well? Aman Anand and Greg Tomaz will be playing along with you in this event. What could you tell us about their music style and association with your label? We recently signed music from both of them, which we’re quite excited about. I’ve been following Aman’s work since he began, literally. He’s put out some great music on some great labels (like Sudbeat, etc), but I wanted to get something even more special from him and I’m more than proud to finally put something out from Aman, a new direction he’s taken that I love, a deeper but more groovier and slightly techno-influenced vibes, and I think it’s just the start to something even bigger for him. Greg has a similar story too, we’ve been in touch for ages and we’ve supported each other’s vision as well. When he got into production, it was only a matter of time before he sent across a few tracks that I felt fit the label perfectly. He’s got great taste & it’s beautifully expressed through his music – atmospheric, moody and driving. Apart from being good producers and lovely humans in general, they’re both very strong and intelligent DJs, so it felt right to kick off the showcase with them. What you hear on ‘Juicebox’, our show on FRISKY, is a perfect expectation. First and foremost, we’ll be having fun and do our best to deliver this style of music the way we feel like it should be absorbed. As a bonus, I’m sure we’ll drop a few special bits, including Juicebox exclusives, here and there. How would you describe the dance music scene in India at present? There used to be a flood of gigs happening, but most of them are mislabelled and that leads audiences to be confused. On top of that, at one point, I felt like we lacked artists that were ‘tastemakers’ as well, everyone’s doing similar things, making it a bit boring for clubbers and music enthusiasts. However, it’s actually on its way to becoming a refined scene. We have well educated & open minded audiences from time to time, which is a beautiful thing to witness. Plus, I’ve noticed people coming out to support their local acts a lot more in the recent times, which is probably a dream come true when you think about the larger picture of the Indian dance music scene. I can’t wait to see where this is heading. 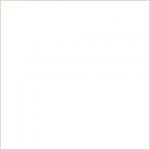 What’s coming up next for Juicebox? 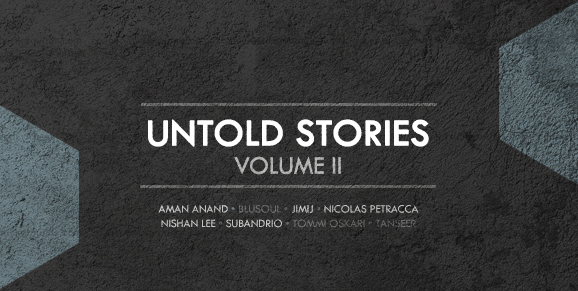 We’ve got the Untold Stories Vol 2 coming up next. This series is basically getting new remixes to our earlier catalogue, in a form/sound that wasn’t touched on earlier. A fresh new look, a new story to tell. For this edition, we have Aman Anand’s remix of “Blusoul – Depth of Emotion”, JimiJ’s remix of “Tommi Oskari – Mind Tingle”, Subandrio & Nishan Lee’s remix of “Tommi Oskari – Sri Lanka” and Nicolas Petracca’s remix of “Tanseer – Both Sides”. Then comes EPs from Esensides, Luka Sambe and Greg Tomaz along with some remixes that we’ll announce later. The Juicebox Music Showcase is this Saturday May 28th – Check out the Event Page for more info! [UPDATE!] Listen to the live recordings from The Juicebox Music Showcase with mixes from Aman Anand, Praveen Achary, and Greg Tomaz on FRISKY [Re]Live!